The foundation of a successful business is based on integrity and trust. Business owners in New Jersey understand the importance these characteristics have when structuring a business plan. 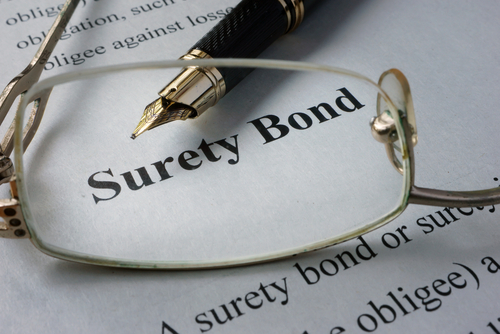 Surety and fidelity bonds are often a strong component of this structure. At Allwood Forlenza Insurance Agency, we specialize in backing businesses through bonding practices. Owning a business entails exposure to risk. Our goal is to proactively identify potential exposures, and ensure your company is in compliance with laws or contracts. Whether you’re a public official or specialty contractor, we have access to a variety of bonds to best fit your business needs. Agents act as an extension of the New Jersey businesses they serve. If the unexpected occurs, their guidance alongside coverage from reliable, established financial institutions is an unbeatable combination. We’ll work one-on-one with your staff to determine the type of bond appropriate for your business. This personalized approach confirms bonds are both accurate and cost efficient. The bonds we administer are not approached in a one-size-fits-all fashion. Instead, solutions are customized based on industry regulations and financial fit. The businesses and individuals we work with are just as diverse as the bonds we issue. Our clientele consists carpenters, plumbers, automotive dealers, as well as public officials. For a contractor, agents recommend a surety bond to guarantee specifications of a construction contract are met. Contract bonds, such as bid bonds, performance bonds, and payment bonds, are accessible to clients within the construction industry. Along with carpenters and plumbers, this coverage may be relevant to masons, painters, landscapers, and more. For automotive dealers and public officials, a commercial surety bond can be tailored to their particular needs. A bond pertinent to public officials protects taxpayers by verifying official duties are complete, while auto dealer bonds assure the general public dealerships comply with laws. Although surety bonds are traditionally customized based on industry, a fidelity bond should be considered if one or more employees handle cash or other essential assets – across industries. At Allwood Forlenza Insurance Agency, we stay up-to-date on regulations and laws relevant to the bonds we enforce. This knowledge is then relayed directly to clients. We appreciate the investment your business makes in our services, and we do our part to keep you informed throughout the lifecycle of the bond. We’d be happy to review business practices and determine which bond is makes sense financially and legally for your operation. For more information regarding the bonds we write, contact our agency at your convenience. To prepare a bond, request a quote. At Allwood Forlenza Insurance Agency, we’re proud to provide bonds in Woodland Park, Clifton, Fairfield, Wayne, Little Falls, and Parsippany, NJ. We’re licensed to serve New Jersey, with access to all states.